If It's Good Enough For Kylie Jenner! I will admit that the Nip and Fab products never really appealed to me even when Kylie was boasting on about how amazing they are. However back in December the Dragons Blood Cleansing Pads were half price in Boots so I thought I would pick up a tub to give it a try, see what all the hype is about. Starting with the scent, I have seen mixed reviews about this but personally I adore it. To me it smells very spa like and I just adore it. I will say though if I go to close to my eyes it will sting a little, I have mega sensitive eyes though so it could be just that. The scent lingers for a few minutes then wears off. Each tub contains 60 pads covered in product. When I first got these I was picking up what I thought was a single pad but in fact was 3 or 4 at a time. Make sure you peel the pads off each other as one is quite thin but it's all you need. Don't be like me and waste some not even knowing! The product itself honestly when I picked it up I had no idea what it was even supposed to do. I picked them up as I wanted to use them almost like a toner to just run over my face after removing my makeup. The pads themselves claim to hydrate your skin to give a much more plump look, deeply cleanse the pores and comfort and restore skin hydration. I will say that when I do use these my face does feel nice and refreshed almost like a cooling effect on the skin. The pads themselves are also packed with product so there really is enough product on one pad to cover your whole face. But I don't notice any huge improvements to my skin because of these to be honest. I don't really like writing negative reviews and even though this one is neither or I just don't know what these possibly could do to help my skin in anyway! Maybe if I used these on their own and no other products I might see a difference but as in for now I have to use other products as part of my skincare routine. I probably wouldn't buy these again, although I do like how fresh they leave my skin feeling I don't think it's worth the price tag. You can find the Dragons Blood Cleansing Pads in Boots for €13.49 and they currently have a 3 for 2 offer on skincare! Have you tried the Nip & Fab Dragons Blood Cleansing Pads, did you notice a difference? 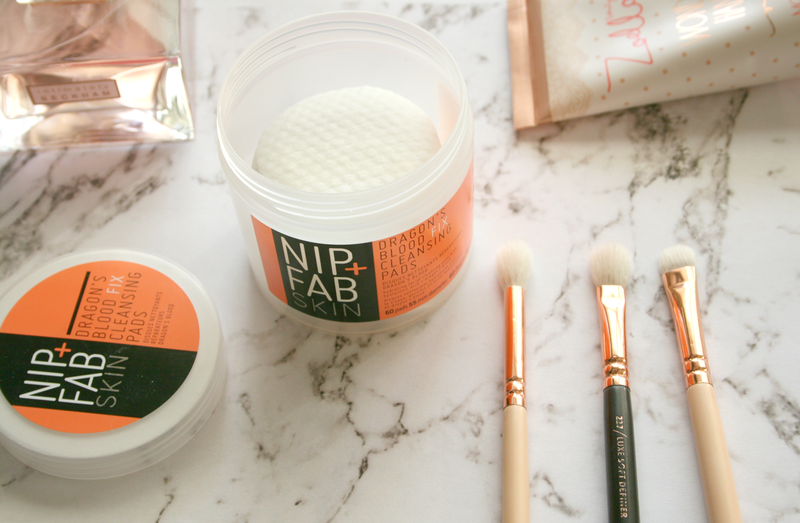 I actually never used Nip and Fab products before thanks for sharing your views on this product. This is really interesting! I'd seen the brand around but not really paid much attention to them. I'm intrigued by your review so might give them a go. Hmm I think I'll give these ones a miss as it doesn't sound like a great product. Maybe if they're on sale I'll pick them up but not worth it at full price by the sounds of it!